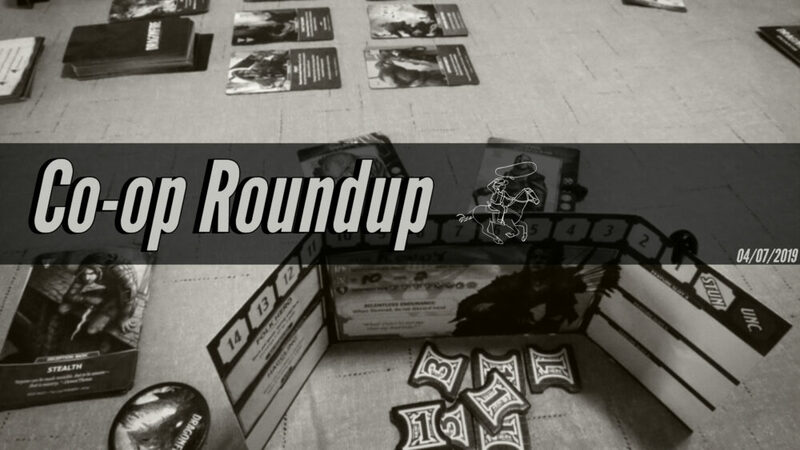 Below you’ll find some of our favorite recent cooperative board game content from around the web, including reviews, unboxings, podcasts, and playthroughs. Czech Games Edition announced that they will be releasing a new word game called Letter Jam. Portal Games announced that Mystery Tales, the newest expansion for Robinson Crusoe: Adventures on the Cursed Island, will be released on April 25. EverythingBoardGames reviewed the cooperative adventure game Comanauts. Strategywizard reviewed the dice game Pandemic: The Cure. Messed Up Minis reviewed the limited communication game The Mind. marcowargamer reviewed the co-op card game Mini DiverCity. The Cardboard Kid reviewed the heist game Burgle Bros..
iSlaytheDragon reviewed the cooperative strategy game Pandemic: Fall of Rome. BGG user z10n x reviewed the real-time card game 5-Minute Marvel. The Family Gamers reviewed the storytelling game Untold: Adventures Await. BGG user eikejmeyer reviewed the fantasy deck building game Dragonfire. rahdo played the dice rolling game Fuji. slickerdrips played the survival game Endangered. Geek & Sundry played the cooperative combat game Power Rangers: Heroes of the Grid. Bower’s Game Corner played the tower defense game My First Castle Panic. David Waldorf unboxed the dexterity game SEAL Team Flix. Moe’s Game Table unboxed the thematic board game Freedom: The Underground Railroad. Zatu Games unboxed the co-op adventure game Folklore: The Affliction. Board Game Inquisition unboxed the science fiction game Robotech: Attack on the SDF-1. Cognitive Gamer talked about Burgle Bros, Hanabi, and other games on their latest episode. All Mana Of Things reviewed Tiny Epic Defenders in one of their latest episodes. CoOp Cast chatted about Legends of Andor during one of their latest episodes.